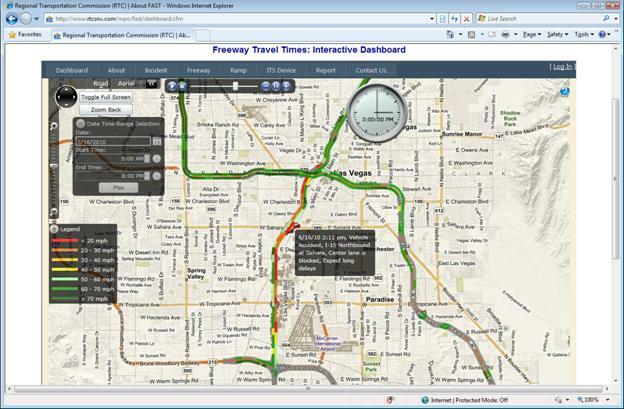 In Historical Traffic Map Page, you can play the historical traffic animation to review and evaluate the freeway performance of the past, as well as see the crash/incident impact on traffic. 10. You can zoom back to default center area by clicking “Zoom Back” button.